In the 200 years since Jane Austen’s death, she has gone from being a moderately successful, anonymous writer to a global literary celebrity. This unique new MA, the first of its kind in the world, will help you discover how and why. Giving you unique access to literary archives at Chawton House - former home of Austen's brother - and offering specialist tuition by a range of Austen experts, this innovative new programme will transform your understanding of Austen's work, culture, and reception. In the 200 years since Jane Austen’s death, she has gone from being a moderately successful, anonymous writer to a global literary celebrity. Her novels have been read and re-read, and are frequently adapted for stage and for screen. They have provided inspiration for sequels, prequels, mash ups, blogs and video games. Jane Austen’s letters have been pored over for details that may have inspired her characters, and her lively juvenilia has been edited and published by distinguished scholars and presses around the world. There are countless biographies, and a seemingly endless appetite for collections of essays, articles and book length studies of the six novels that are now known across the world. The MA in Jane Austen is an exciting and innovative programme that will enable you to study Jane Austen's work, her culture, and her reception. In workshops, seminars, guest lectures, and individual meetings with your tutors, you will learn about the historical and literary contexts that made Jane Austen, and chart the way that her popularity has increased in the modern day, impacting the tourist and heritage industries. The programme combines academic and practical approaches, marrying the study of eighteenth-century culture and a range of modern scholarly approaches to Austen with insights into the heritage industry and literary tourism, and providing you with a broad set of skills. You will be taught by a team of specialists from the Faculty of Humanities at the University of Southampton who have published broadly on Austen, and who have experience of working in heritage positions. In addition, you will enjoy a lively programme of relevant events put on by the Southampton Centre for Eighteenth-Century Studies, and have unique access to the archives at Chawton House, former home of Austen’s brother, and now an internationally-recognised research centre for the study of early women’s writing. Your contact hours will vary depending on your module/option choices. Full information about contact hours is provided in individual module profiles. First- or upper second class honours degree in an Arts related subject. 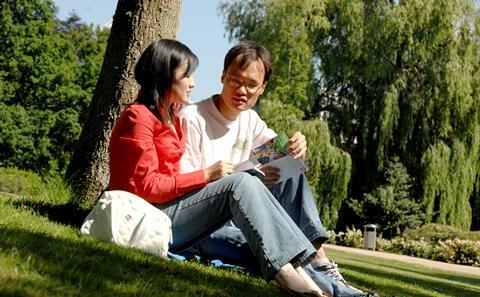 IELTS 7.0 overall, with minimum of 7.0 in writing, 6.5 in reading, listening and speaking, or an equivalent standard in other qualifications approved by the University. Studying for a degree later in life can be extremely rewarding and mature students are often among our most successful. If you are over 21 and feel you would benefit from degree-level studies, we can be more flexible about our entry requirements. For full-time courses, selectors will expect you to demonstrate your commitment by means of some recent serious study, for example, one or two A level passes, successful completion of an Open University foundation course or an appropriate Access course. Your application will be considered on individual merit and you may be asked to attend an interview. Potential Tier 4 sponsored students must make an appointment with VISAS before acceptance. Once in the UK, Tier 4 visa students are required to have full attendance monitoring. Any failure of attendance could lead to a termination of sponsorship by the University. Interview may be required on a case by case basis to assess suitability of course. The MA Jane Austen programme may be studied over one year (full-time) or two years (part-time). It consists of two compulsory core modules Approaches to Jane Austen and Jane Austen and the Heritage Industry the 15,000-word dissertation, as well as a choice of up to four option modules. As a student on the MA Jane Austen, you will also have the opportunity to audit a selection of relevant undergraduate modules to augment your own knowledge. The MA Jane Austen programme is excellent preparation for a career in the heritage sector, in teaching, publishing or arts administration. Graduates of our current English Literary Studies programme, including those on the Eighteenth-Century Pathway, go onto professional careers in writing (from journalism to fiction), education, international PhD programmes, teaching, broadcasting, and varied work in the creative industries. Former graduates and alumni return to give talks throughout the year, and - along with the busy lecture programmes offered at the university and at Chawton House - will help you make the most of the opportunities here. The MA in Jane Austen allows you to specialise in the literary culture and history that gave rise to one of the world’s most recognised writers. Comprising two core modules and a 15,000 word dissertation, you will also have a choice of up to four option modules. Your personal tutor will help you devise a course of options, subject to availability, to suit your needs and interests. As a student on the Jane Austen MA, you will also have the opportunity to audit a selection of relevant undergraduate modules to augment your own knowledge. You will be taught by leading experts in the field, and you will have access to a number of important heritage sites throughout your degree, including Chawton House. The programme will enable you to explore complex questions about gender and feminism, class politics, nationhood, economy, publishing and book history, translation and adaptation opened up by Austen’s work and its interpretations, but it will also teach you about aspects of the heritage industry. You will experience a variety of teaching methods, designed to challenge you intellectually, expose you to new ideas, and develop the transferable skills that will help with career development in the future. You can expect to learn in small seminar groups typical to study at Masters level, but also to enjoy practical workshops and lectures. You will be encouraged to engage in student-led learning, taking control of the direction of discussions. Group work and oral presentations with your peers and one-to-one consultations with staff will also develop your interpersonal skills and individual research skills. Your dissertation will test your skills in academic writing, whilst other assessments will allow you to exercise your creativity.